As Australia’s socio-economic gap widens, one dentist took it upon himself to help struggling young people offering his services free for a day. Samantha Trenoweth meets a dental hero. The team’s work was overseen by a volunteer supervising dentist and, during their very first clinic, they saw roughly 120 patients and performed 350 separate procedures. “That experience was very personally rewarding,” he remembers. “There was a lot of experience gained by all the students who went out there and it gave us an opportunity to give something of value to the community.” That clinic is still operating out of Griffith University today, and is being run by Dr Baker’s youngest brother, Michael, who is in his final year of dentistry. Which is fortunate because Dr Baker’s brother, Michael, is set to join him in the practice in January next year. 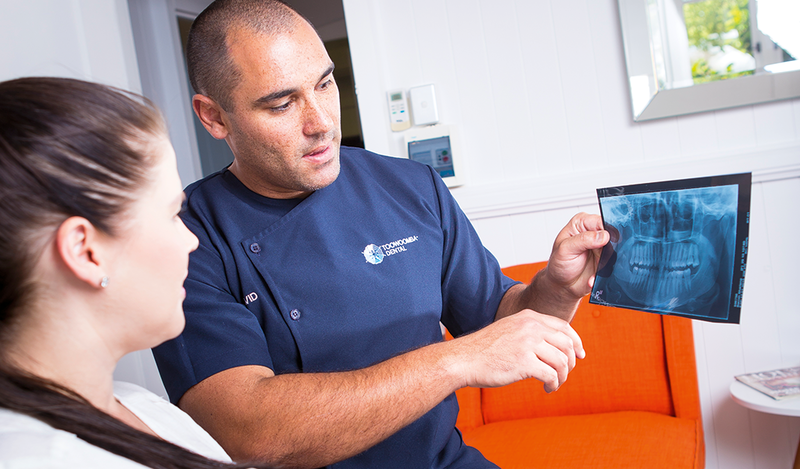 “I like the idea of a family business,” he says, “and I definitely want to stay here in Toowoomba.” He grew up in Brisbane and studied on the Gold Coast but, after graduation, he and his wife, Danyell, who works as Toowoomba Dental’s practice manager, were “looking for a tree change,” he says, and Toowoomba seemed the obvious choice. Dr Baker is a true believer in the potential for private dentistry to take some of the pressure off the public sector in other ways too. Volunteer organisations—like the Cherbourg and other university-run clinics, the Filling the Gap project, which works in co-operation with Aboriginal-run health services, and the Australian Society of Orthodontists’ Give a Smile project—are the kind of places where dentists, orthodontists, dental nurses, hygienists and dental students can all make an immense difference to people’s lives. “The federal government’s Dental Benefits Scheme was also a great initiative,” he adds. “I think those sorts of schemes are important. The public sector is overloaded, so the funding of public services through the private sector is a useful strategy.” He’s also a vocal advocate for greater public education about the importance of good oral care.